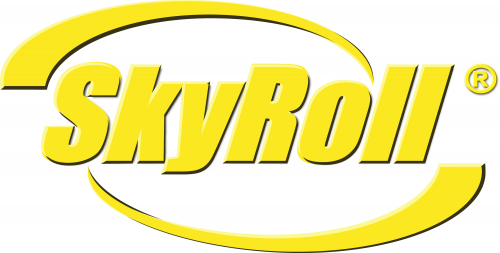 SkyRoll was created by Don Chernoff. It all began one day as he was killing some time watching other passengers board a United Airlines flight. He was watching a guy trying to fit his garment bag into the overhead bin. He saw that it was jam packed and awkward looking. Don, a frequent traveler, knew tricks about rolling up your clothes when you pack them. This made him think about rolling up a suit. It was then he realized that no one traveled like this, for good reason. How would you roll up a suit, he wondered? When he arrived home to paid a visit to his favorite store – Home Depot. This is where the magic began and how The SkyRoll was invented. 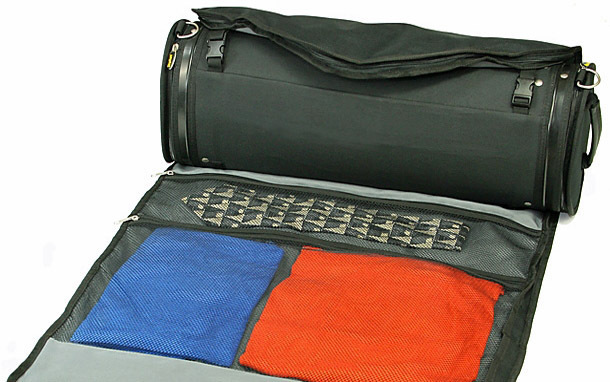 SkyRoll does things better than a typical garment bag and rolling suitcase. After all, suits were not made to be folded in thirds and stuffed into suitcases. 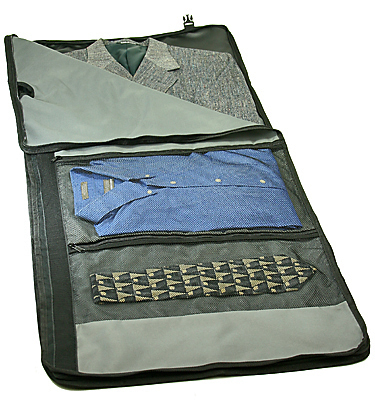 Unzip the garment bag to load suits, dresses, or other large garments. After loading the garment bag, zip it up and place ties, or small items into the mesh pockets on the inside of the garment bag. Pack the suitcase like you would a standard carry-on suitcase. The suitcase holds enough for several days. It has about 50% more room than our over-the-shoulder SkyRoll. NOTE: For suit jackets larger than size 42 you may have to fold the shoulders in a bit to fit in the garment bag. 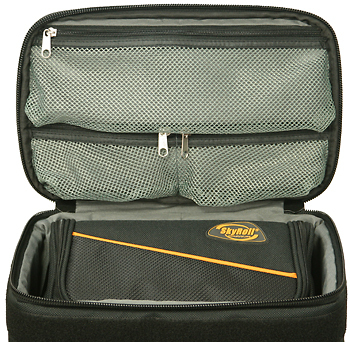 Once SkyRoll is packed, you don’t need to remove the garment bag to get to the top compartment, just unzip the top door. The top compartment of the suitcase has room for a shaving kit or makeup bag and comes with a free SkyRoll custom toiletry kit*. The inside of the top door has two small and one large mesh pocket to organize your small items. suitcase onto the garment bag, making sure to align the Velcro strip to help keep the garment bag in place. Connect the three end-clips and tighten the straps to prevent the garment bag from moving during travel. About three suits can fit in the garment bag. The garment bag measures 20.5 x 48 inches. The suitcase measures 22.5 x 12 x 7 inches. With a typically loaded garment bag wrapped around the suitcase the final dimensions are 22.5 x 14 x 9 and should fit into most overhead bins. It weighs nine pounds empty, seven pounds if you don’t use the garment bag. Personal experience: I recently used my SkyRoll on Wheels for a trip to Toronto, Canada. I was speaking at a convention and had to pack a suit. This was the first time I ever packed a suit and it showed up unwrinkled! The bag was perfect for my 3 night getaway and fit everything I needed. I had several people ask me about the bag on board my Air Canada flight. I couldn’t say enough! It is the perfect bag for airport security as it even contains a toiletry bag, not to mention it’s a wheelie! Business travelers will especially love this bag as it is perfect for short trips.